The moon may be the earth's closest companion, but the conditions on the surface of these two neighbors are vastly different. Unlike the earth, which maintains a moderate temperature over much of its surface, the moon swings between extreme heat and extreme cold. The chief reason for these extreme temperature differences is the moon's lack of an atmosphere. On the airless surface of the moon, temperatures depend largely on whether a given point lies in sunlight or in shadow. Areas of the surface receiving full sunlight may reach temperatures of around 121 degrees Celsius, or 250 degrees Fahrenheit. Shadowed regions and the dark side of the moon typically drop to as low as -157 degrees Celsius, or -250 degrees Fahrenheit. The moon's poles can get even colder: the Lunar Reconnaissance Orbiter has detected lows of -238 degrees Celsius (-396 degrees Fahrenheit) at the southern pole and -247 degrees Celsius (-413 degrees Fahrenheit) at the northern pole, temperatures that may even rival those on the surface of Pluto. The reason for this extreme temperature difference is the moon's lack of an atmosphere. The earth and the moon receive similar amounts of energy from the sun, but in the case of earth, the atmosphere deflects and absorbs some of that heat. As the sun's rays strike the gas molecules that surround the planet, those molecules absorb some of the energy and pass it on throughout the atmosphere, warming the entire planet instead of just the areas in direct sunlight. 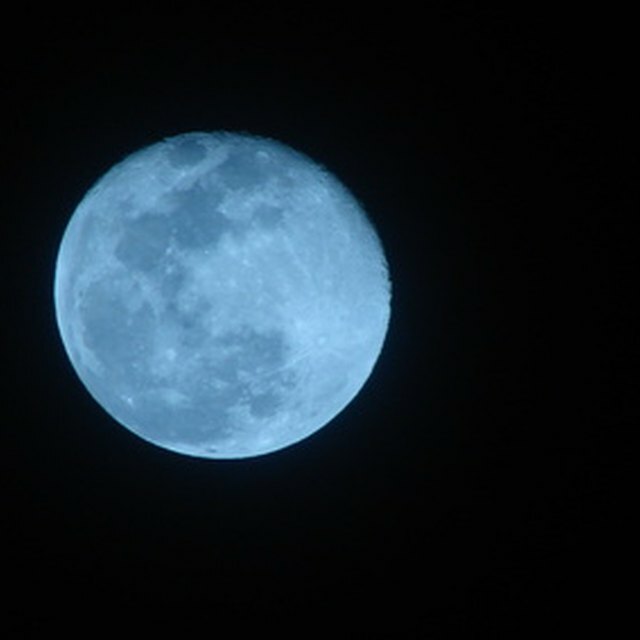 This diffusion of energy reduces the maximum temperature, and since the moon has no such protective blanket, its maximum temperatures are scorching. An atmosphere also traps the sun's energy, in a process known as the greenhouse effect. When the sun's energy makes it through the atmosphere and strikes the surface of the earth, that energy reflects off the surface and back toward space. In much the same way that gas molecules absorbed and trapped energy on its way in, these molecules trap and reflect energy on its way out, maintaining the planet's warmth even on the dark side. 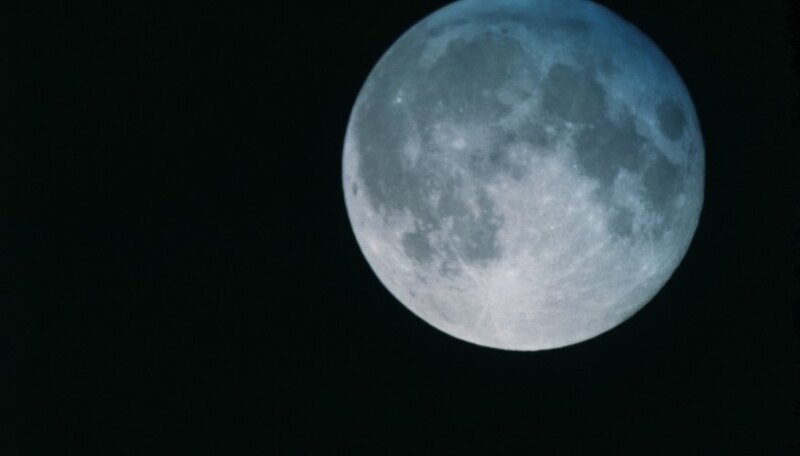 On the moon, however, any energy that reflects off the surface simply dissipates into the vacuum, which is why the shadowed areas of the surface become extremely cold. These temperature extremes caused by the vacuum of space present some major concerns for space explorers, who need specialized equipment and techniques to avoid overheating or freezing. For instance, Apollo spacecraft on the way to the moon utilized passive thermal control, also called the "barbecue roll" -- a slow rotation of the ship on its axis in order to keep the temperature of the craft equalized. Once on the moon's surface, astronauts had to rely on heavy space suits with built-in temperature regulation systems to avoid overheating in the sunlight or freezing solid in the shade. Space.com: What Is the Temperature on the Moon? Kazmeyer, Milton. "What Are the Causes of the Extreme Temperature Differences on the Moon?" Sciencing, https://sciencing.com/causes-extreme-temperature-differences-moon-12712.html. 25 April 2017.